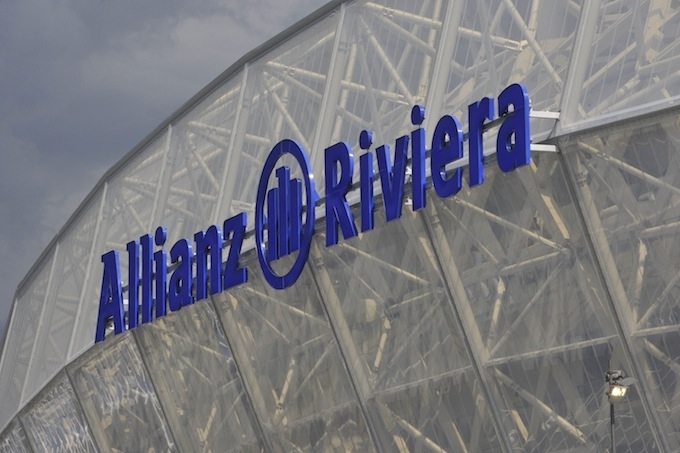 Next Sunday sees the inauguration of the new, purpose-built Stade Allianz Riviera, heralding the start of a new era for sport in the region. Having bade adieu to the Stade du Ray at the beginning of the month, OGC Nice play their next home match on Sunday, 22nd September against Valenciennes FC in their new home, the Stade Allianz Riviera. This match will be the inaugural event at the stadium, and the inauguration will be celebrated in a manner befitting such a venue and occasion, with plenty of activities and spectacles planned for before, during and after the match, in and around the grounds. The 54,000 sq.m. facility was constructed in near record-breaking time, a mere 25 months, and is the first major project to be completed in the new Eco-Vallée scheme for the Plaine du Var. The stadium will also be used for other sporting events, concerts, cultural events, and of course will be one of the grounds in use for the Euro 2016 Championships. Top 14 rugby also comes to the Allianz Riviera as Heineken Cup champions, RC Toulonnais play ASM Clermont Auvergne on Saturday, 5th October. All 35,000 tickets for the inaugural match next Sunday have already sold out, so unless you’re one of the lucky ones, sorry! Notwithstanding this, Nice has a superb facility that all can be proud of, and something that will definitely play a major part in the cultural and sporting life of the city for many years to come.